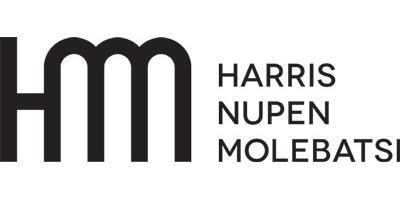 Harris Nupen Molebatsi Inc. “HNM” is a boutique law firm with an exceptional track record in providing highly specialised legal advice and services to clients across the private and public sectors and has supported the Shannon Elizabeth Foundation by drafting the trust deed and assisting with the legal framework and registrations of the organization to operate as a non-profit in South Africa. Working across sub-Saharan Africa, the partners of HNM have provided legal advice to multi-national corporations, governments and non-profit organisations. HNM’s services include the development and drafting of policy, legislation and regulatory frameworks, advising on cross-border transactions and drafting trade and business agreements, lease agreements and inter-governmental bilateral cooperation agreements, as well as establishing dispute resolution mechanisms. GastrowBloch have been instrumental in guiding the Shannon Elizabeth Foundation in creating the optimal structure and processes to ensure an organization that is efficient, effective and transparently developed and administered. GastrowBloch Philanthropies in essence, assist their clients in providing strategic, planning, administrative and management support in implementing their philanthropic objectives. At the same time they aim to ensure that their clients are involved in a meaningful experience that translates their passions, interests and values into a dynamic and enjoyable experience of contributing to society, and in our case, the environment as well. Inyathelo is a non-profit organisation that works to sustain and strengthen civil society organisations and grow local philanthropy and has guided the Shannon Elizabeth Foundation in the astute development of structures and processes and has given support in advancement and fundraising resources. Inyathelo seeks to promote the development of a philanthropic movement in South Africa. The three pillars of their work are: strengthening civil society as a key component in SA’s democracy; building the capacity of higher education to raise private resources to ensure that the intellectual heart of the country continues to beat; and developing a philanthropic movement in South Africa to support both civil society and South Africa’s anchor institutions.